Pink is the award-winning author of six New York Times best-selling books, including "Drive: The Surprising Truth About What Motivates Us," "A Whole New Mind" and "He is Here" On April 24, Pink will discuss his newest book, "When: The Scientific Secrets of Perfect Timing." Our lives are a never-ending stream of "when" decisions, but we don't know much about the science of timing. Why do certain breaks dramatically improve student test scores, and when is the best time to take standardized tests? What is the ideal time to quit a job, switch careers, or get married? 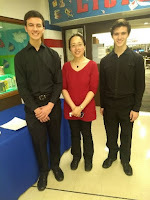 Also on April 24 at Glenbard South, Cheng presented Math Music and the Mind. Cheng is a classical musician, the scientist in residence at the School of the Art Institute of Chicago and math columnist for the Wall Street Journal. She is determined to rid the world of "math phobia". Her books "How to Bake Pi," "Beyond Infinity, Thinking Better: The Art of Logic in an Illogical World" and math YouTube videos have received international acclaim and taken her to the stage of the Late Show with Steven Colbert. Timing." 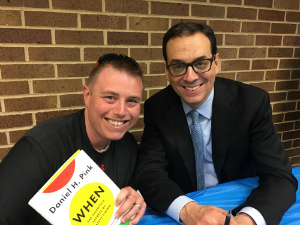 Glenbard East English teacher James Hultgren shared the following takeaway: "Dr. Pink shared the latest research for helping teen-agers achieve more success in the classroom and be overall happier and healthier individuals. As a parent and teacher, I have a new appreciation for the importance of timing and scheduling. Dr. Pink highlighted how adolescents' body clocks are pushed back two hours, which explains why teen-agers stay up late and are often sleepy in the morning. He also revealed the necessity of short breaks on our cognition when studying or practicing. Finally, he shared insights into the relationship between timing and testing, deep thinking, school start time, exercise, napping and even the best time is to schedule a doctor's appointment." 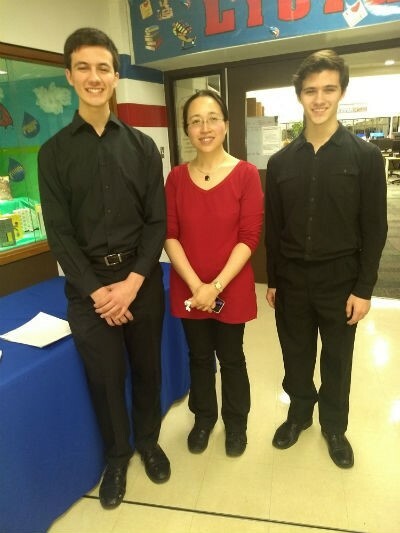 Glenbard East students Demetri Sepsis and William Sepsis attended Glenbard Parent Series presentation Logically Speaking: Math, Music and the Mind by Eugenia Cheng. Demetri Sepsis shared the following takeaway: "Dr. Cheng's presentation was incredibly captivating and piqued our curiosity in the fundamentals of music theory and how it relates to math. It was interesting to learn how the intervals between notes directly correlate to fractions and decimals. There is power in moving beyond academic subjects to connect the dots. Math is everywhere and impacts our culture."